Probably the single greatest advantage that an offshore life insurance product has to offer is its tax-free gains. This means that interest, dividends and capital appreciation all grow without the possibility of being taxed. This becomes even more helpful should the insurance holder require the use of part or nearly all of the funds built up in the policy. Fully 90 percent of the value can be borrowed against the investment totally tax-free. Similarly, with these products, the death benefits are also tax-free. This is an excellent way to avoid expensive, estate-draining taxes upon the insurance holder's demise. Such offshore investment vehicles are well-suited for anyone who wishes to save up for any medium- or long-term goal. 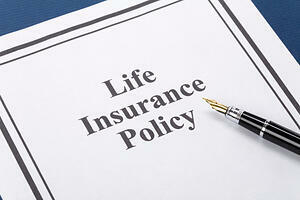 Additions to an insurance account can be made on an annually, bi-annually, quarterly or monthly duration. Larger contributions from other resources or investments may also be made as often as suits the client. Everyone is looking to save on taxes. Since offshore life insurance firms provide a form of life insurance, investors are allowed to deduct the amount of the life insurance premiums from their reported income on tax returns. This amounts to tax-deferred investing in a wide assortment of bonds, funds and other investments for U.S. persons and tax-free investing for the residents of most other countries. Retirement is an enormous looming financial burden for which too many individual investors simply do not have the time or necessary knowledge to adequately plan and invest. The investment professionals at offshore life insurance corporations have specialized in these types of planning and are well-versed at discussing and helping to craft a strategy for any future financial need while there is still sufficient time to plan ahead for them. It simply does not get much easier to fund an investment or retirement account than with these life insurance products. The monthly premiums may be charged via a major credit card. Then, the investor decides which stocks, funds, bonds, or other investments to invest their premiums and other contributions into, with the added advantage that a great number of these investment options are simply not offered by American brokers and investment firms. Perhaps the best part about considering an investment in offshore life insurance products is that there is neither a cost nor an obligation to check them out. It is simply a matter of contacting a reputable and professional firm that specialzes in offshore services.